10. WGCL’s drumbeat of “tough questions” over the Atlanta Water Department’s bizarro billing, and WGCL’s rise as an enterprising / investigative news organization. 9. 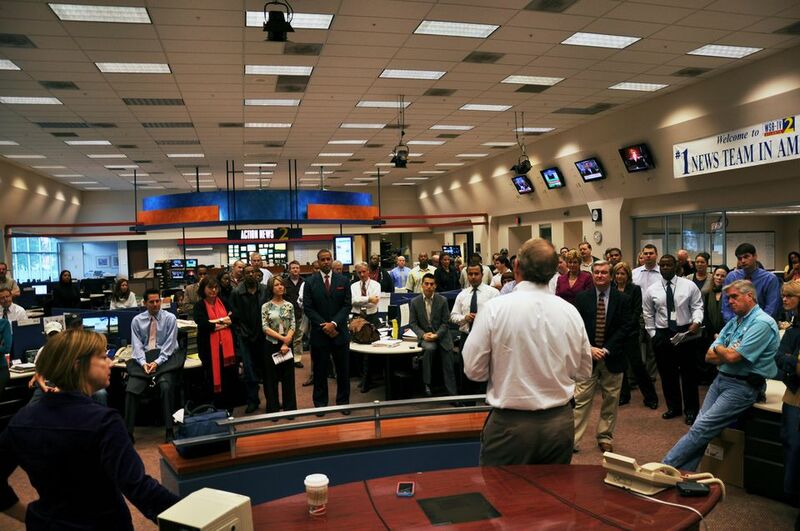 The AJC’s contraction, redesign and announced relocation to Dunwoody. 8. 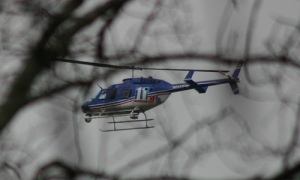 Layoffs and pay cuts at WAGA and WXIA; furloughs at Gannett; and the combining of photog and helicopter resources. 7. The AJC’s forced exile of Cynthia Tucker, its Pulitzer-winning columnist and editorial director, and its rightward editorial tilt. 6. The local ascent of Twitter, especially during gasoline and flood crises. 5. The sudden closing of Southern Voice, the bankruptcy throes of Creative Loafing, and the improbable continued success of Stomp and Stammer. 4. Peach Pundit’s publication of a tell-all post about state pols that wouldn’t pass fact-checking muster in any mainstream media (and cries out for a libel suit or two, except that apparently nobody has chosen to challenge its veracity in court, so far…). 3. 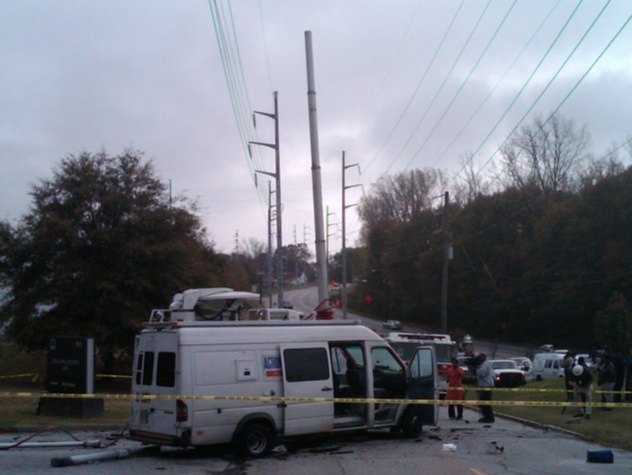 WSB’s live truck accident, and Cox Inc.’s decision to pretend it’s not news. 1. Dale Russell’s seismic interview with Susan Richardson, which shook state government and toppled some of its leadership. This entry was posted in AJC, ATL news, stomp and stammer, WAGA, WGCL, WSB, WXIA on December 29, 2009 by live apt fire. 1. WSB’s ratings growth while new faces and voices enter their front lineup of anchors. 3. WXIA dropping like a rock. When do they change their anchor team in 2010. 4. WGCL and Schwaid–it’s modestly working. 5. Disconnect between local and disappearing viewers. Nice call with Stomp and Stammer, Doug. Year in and year out it is a consistently good read, and it’s better in print than online.